Hi all! I figured I'd better update you on my progress with Barielle's Nail Strengthening Cream. In short, it didn't work for me as well as I hope it would. After two weeks, my nails started to peel. I used the cream 2 times a day. 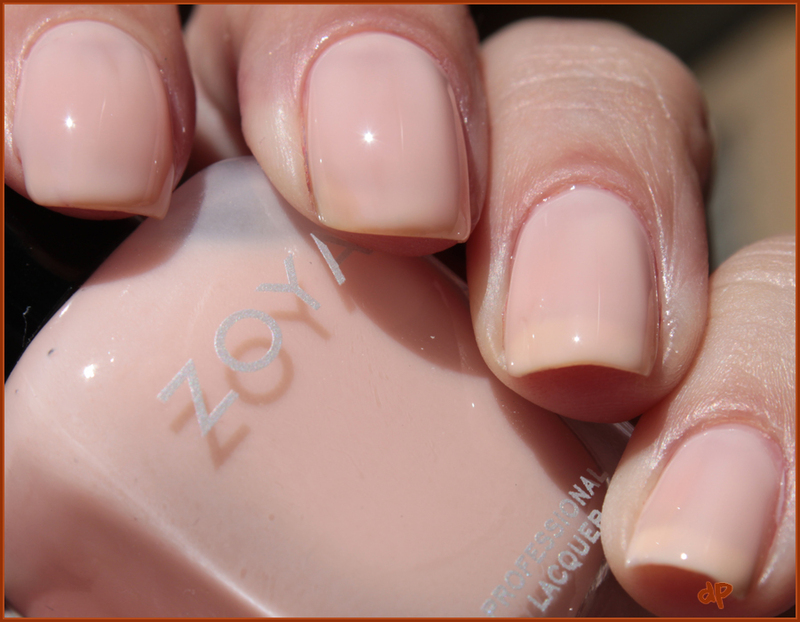 So on to today's post - Zoya Grace, a sheer, milky pink. Zoya.com says it's a milky peach, but I really see more pink than peach. Pictured is four coats. 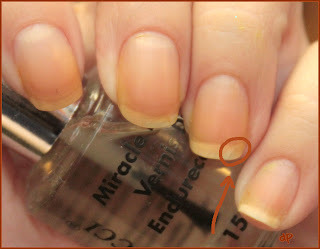 You can still see VNL, but really, with this type of polish, that's expected. This polish really isn't much like me. I bought it because my niece is named Gracie. 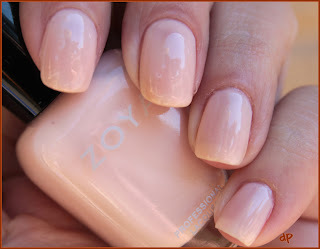 Zoya doesn't have a polish with my name, so I'm trying to get find as many other names that mean something to me.